Welcome to NOCO Lawn Care, a Colorado-owned, father-son operation which offers landscaping services in Loveland, Fort Collins, Berthoud, Winsor, as well as throughout the Northern Colorado Front Range. Below, you’ll find out a little bit more about who we are as a Loveland landscaping company, in addition to what we can offer to both residential and commercial-based customers. From landscaping and hardscaping to general lawn care and upkeep, we’ve are reliable, affordable, and committed to providing excellence for our Colorado neighbors. As Rohana spoke to in her glowing review, we take great care when it comes to making sure you are pleased with our process and the end result of your lawn! NOCO Lawn Care Mission Statement: We Pride Ourselves In Providing Excellent Service At A Great Value. Since our founding in 2009, NOCO Lawn Care (formally, we are DnD Maintenance and Landscaping), we’ve been providing the Northern Colorado Front Range with services that include lawn maintenance, landscaping, hardscaping, along with seasonal offerings as well. Our father and son team boasts over 35 years of combined experience in the landscaping and lawn care industry. As our mission state details, we are truly committed to our customers and their satisfaction, as evidenced by our 100 percent satisfaction guarantee. If a job we perform isn’t up to our own internal standards of excellence, we won’t rest until it is. The other side of our satisfaction guarantee is providing landscaping services at a great value. Nowhere else will you find a provider of landscaping in Loveland, CO (or beyond) that blends quality with value quite like we do at NOCO Lawn Care. At the risk of tooting our own horn a bit too much, we want everyone who is looking for a landscaping company in Loveland to be aware of what we offer. 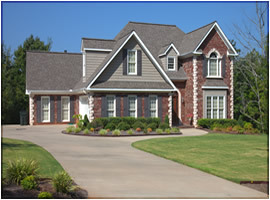 We take great pride in bringing to life the unique vision you have for your home’s yard. 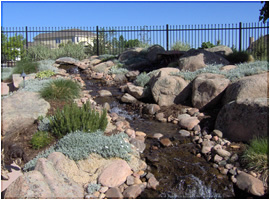 Whether you are interested in landscape maintenance in Loveland, CO, you are interested in installing a new water feature in your front yard and would like a quote, or you are looking for a commercial landscaping company in Fort Collins, we’ve got you covered with all the information you could ever need right here. If, however, there remain unanswered questions, we are more than happy to speak to you over phone or email! All you have to do is contact us and let us know what your issue is. We’ll be quick to reply so that you can make an informed decision about the landscaping project you have in mind. So, without further ado, we’ll highlight our services on offer here at NOCO Lawn Care. Installation of mulch, compost, loam, dry wells, triple mix, river rock, etc. Again, if you don’t see the service you have in mind listed above, just give us a call and the odds are strongly in your favor that we will be able to help you out. No one will beat us in terms of effort, communication, or end result! Our passion is to make Northern Colorado a more beautiful place — one lawn at a time! 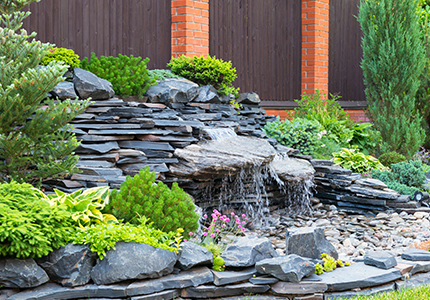 Low maintenance – Modern water features are remarkably easy to maintain. In fact, some of the water features we offer have absolutely no upkeep required, while others demand as a few as ten minutes per week out of a homeowner. Increase your home’s value – One of the things we consistently hear from our customers is that, down the road, they’ll find that the money they invested into the water feature was up there with the best purchases they’ve ever made! It’s a cost-effective way to increase the value of your home — but you don’t have to be thinking about selling your home to enjoy it! In fact, we’d argue that once you get your custom water feature installed and running, you might think twice about putting that “for sale” sign up! A variety of options – As we mentioned above, we have a wealth of water-feature choices for you to select from. Check out our gallery to get an idea about what would look best in your yard! If your fence and/or deck could use a makeover, we are the Loveland, CO landscaping contractor to get the job done. 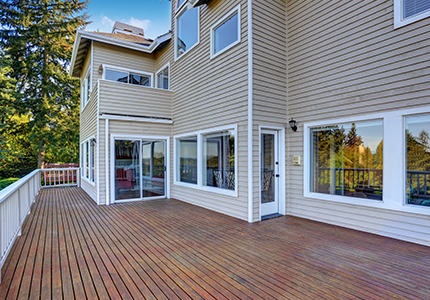 We can make your fence and deck look like new again. While other companies (namely, those of the fencing variety), will try to convince you of your need to replace your fence, you might not need to! We are often able to restore the beauty of your fence or deck for pennies on the dollar — when compared to the price point of installing a brand new fence. If it’s grey, weathered, or even starting to chip fairly significantly, we’ve got the expertise that counts. Our fence and deck restoration methods include the effective power of water via a power washer, after which we will carefully restain the surface to bring it back to its former glory! If you are ready to be amazed at how stunning your fence and deck will look, just give us a call and we can provide you with a free estimate on the work that you need to have done in Northern Colorado! Sprinkler Startups & Blowouts – Our experienced sprinkler technicians will first perform a thorough audit of your sprinkler system in order to ensure that the system is hooked up properly and good to go. After discussing your preferences for a watering schedule, we can make a recommendation about adjusting the system to improve water efficiency while making sure your yard is well-watered and lush. Regarding sprinkler system blowouts, we’ll drain the pipes connected to your sprinklers that are inside your home. Then, we’ll blow out all of your sprinkler zones, effectively winterizing your sprinkler system when it gets well below freezing around here. 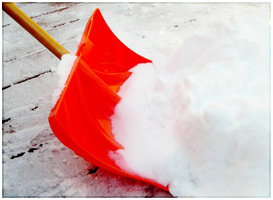 Snow Removal – Speaking of those cold winter months and it getting nothing short of frigid in Colorado, we offer snow removal services. For both residential and commercial customers, we’ll clear your sidewalk and driveway — with very short turnaround times! What’s more, we also offer storm clean up of downed limbs because of heavy snow damage, de-icing, and any other ad hoc services we might need to perform to make sure you and yours are safe when things get icy. Spring & Fall Cleanups – Once the snow has melted and the birds start chirping again, you might find your home’s premises are in need of a good cleanup. Our spring cleanups include the removal of all leaves, branches, and other debris. 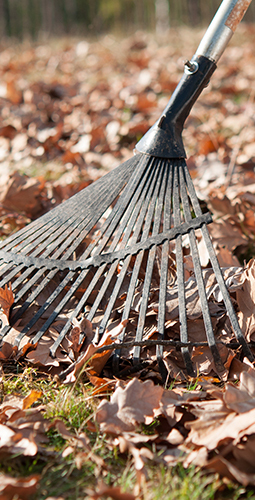 Our fall cleanup also includes the complete removal of leaves, branches, and debris, including dead branches. The vitality of your yard depends on the regular removal of dead branches and fallen leaves that might carry disease or dangerous fungal material. We can make this happen for a cost-effective price! If you’ve been looking for Loveland commercial landscaping services of some kind, your search has likely ended at NoCo Lawn Care. 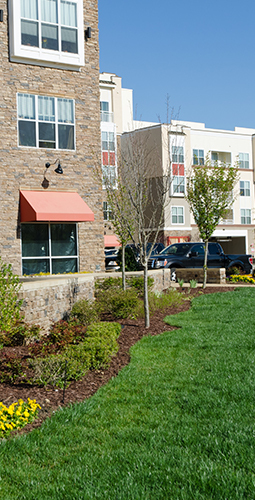 While it can be difficult to find space in the budget to improve the aesthetic appeal of your business’ grounds, it’s important to remember just how important commercial landscaping can be. Your business’ storefront is how you present yourself to the public. So what kind of image and vibe does your business convey? Do you welcome your visitors, prospective clients, or even employees? You might be surprised to learn just how much of an impact the look and feel of your premises actually have as to how you are perceived by those whose opinion you value. If you are interested in commercial landscaping services in Loveland, CO, we want you to know that we are more than up to the challenge of providing you with a totally unique landscape. From custom design to installation and maintenance, we are a one-stop-shop. We have a lengthy track record of finishing commercial projects on time, within budget, and ahead of schedule! Whether you are interested in tree and shrub planting, a water feature, weed control, pruning, fertilization, or another kind of landscaping service, we’ve got you covered! Maintenance: Our commercial maintenance service includes ongoing upkeep, including sprinkler repair and maintenance, weekly mowing, and hedge/bush trimming. We’ll make sure your place of business looks sharp, the whole year round. Now that you’ve had us describe how great our landscaping work is, it’s high time you see it for yourself! Available for your browsing pleasure is our water feature gallery, lawn maintenance gallery, and landscaping gallery. Whichever kind of Loveland, CO landscaping service you are interested in, keep in mind that our team has the experience and passion to make sure you get the exact look and feel you are looking for. It’s your house, after all, so we want to be a big part of turning it into your dream home! We understand that you have choices when it comes to Fort Collins Landscaping, Windsor landscaping, or wherever in Colorado you hail from. At the end of the day, it’s about finding a local landscaping company you can trust to perform quality work at an affordable price. When you consider our track record of success coupled with the willingness to brainstorm with our customers, going with NoCo Lawn Care is a massive no-brainer! Get your free landscaping estimate today! We’d love to hear from you!